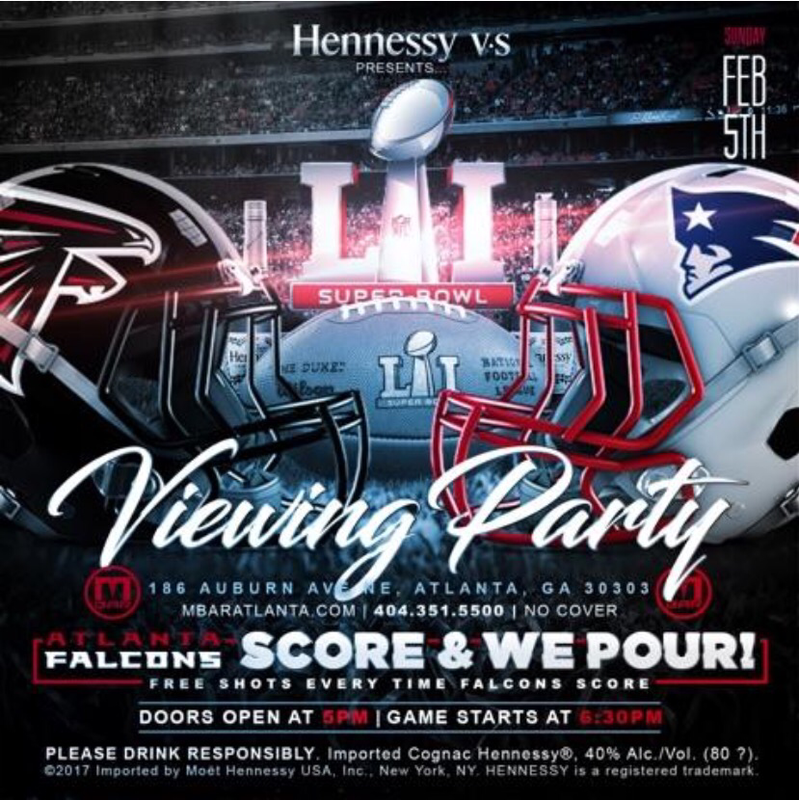 You are here: Home / Events / Atlanta Events / HENNESSY & M BAR Present The FALCONS vs. PATRIOTS Super Bowl Viewing This SunDAY 2/5/17… When Falcons Score We POUR!! No Cover….Ever! HENNESSY & M BAR Present The FALCONS vs. PATRIOTS Super Bowl Viewing This SunDAY 2/5/17… When Falcons Score We POUR!! No Cover….Ever! WATCH THE BIG GAME & STAY FOR THE AFTER PARTY!! to…Experience Score & Pour NFL Sundays at M BAR. at the 9th year of a stellar NFL career? We’ll be watching closely at M BAR. of course the SUPER BOWL!! not a bad seat in the house. BTW, WHEN THE FALCONS SCORE WE POUR!!!! 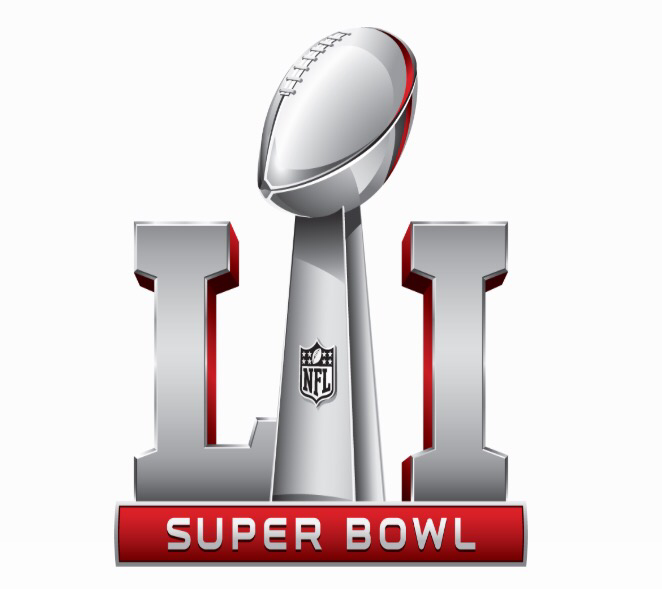 SUPER BOWL FESTIVIES START AT 5:00PM!! All Other Seating Is First Come, First Serve…. So PLEASE Get There Early!!! WE WILL SEE YOU THERE! CHEERS! Thank you for your continued support ATL…. related to Music, Cocktails and Atmosphere. We appreciate your feedback, connect with us!